Cheyenne & Belle’s Lily are coming for it all at the BOTB! 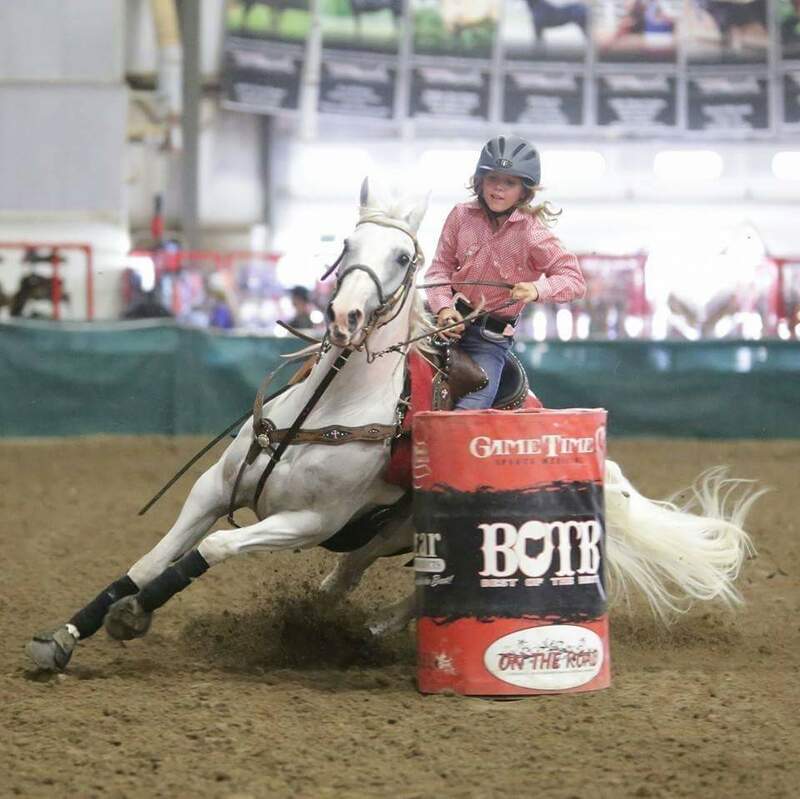 Here is a little more about Cheyenne and Belle’s Lily who will be running at the BOTB in August. Tell us a little about your horse: Belle’s Lily is half quarter horse and half connemara pony. Her dam was a palamino mare by Bully Bullion named Belle and her sire was a grey connemara stallion that was imported from Australia named Glenormiston Flurry Knox. Lily may be pony size but she is a spit fire and doesn’t like to come in last. She is always ready to work and gives 200%. She was breed, raised and trained by my mom. She is a challenge but I love to ride her! Everyone has a favorite place to run, tell us what yours is: The Best of the Best arena! Each year we all love to attend a favorite show, what is yours? Best of the Best of course! I love the crowd and all the cheering! Give us a little more insight about you and your horse: I love to ride and be with my horses everyday. My mom inspires me because she helps me so I can be a better rider….And she lets me steal her horses. This is my last year as a peewee so I am sad. But, I am excited to help and cheer for my sister in peewees. Previous Bella & Leo are looking to make the BOTB 2015 Champ Proud – That is Grandma to Bella! Next Presley & Bling Bling will be shining at that BOTB trying to take home a win!